Cakes,cookies, pumpkin lattes, and apple pie. The four food groups of the holiday season…and a recipe for inflammation, fatigue, and even a few extra pounds around the waistline. We’ve all been there. Maybe you’ve fallen asleep on the couch less than 20 minutes after leaving the kitchen table once or twice? Well, thankfully you don’t need to give up everything you crave to feel better this holiday season. 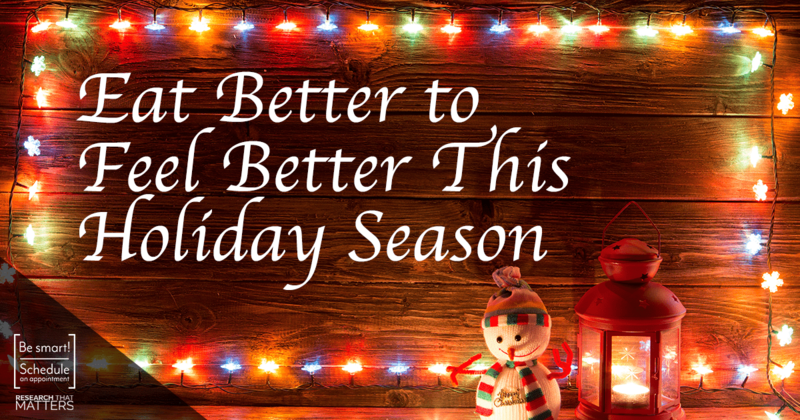 In fact, a few small, smart choices (including chiropractic) can help you have a much healthier and happier holiday. Staying well hydrated is a crucial step towards staying healthy and eating less junk. Simply drinking a full glass of water at breakfast, lunch,and dinner can make a positive impact on reducing irritating inflammation and curbing your holiday appetite. And don’t forget about that little thing called sleep – your body needs it to recharge and recover. Staying as close as possible to your regular sleep schedule will help you best manage your stress levels during the hectic holidays. And of course, call your Chiropractor! Research has shown that Chiropractic adjustments can reduce the stress on both the body and mind by reducing all of that stored up muscle tension. Now that’s a smart healthcare decision for the holidays!